This Shallow Water- No Diving Sign is 24" x 18" and constructed of heavy duty plastic. It has pre-punched holes for easy hanging and features U.V. resistant ink. It features a nice graphic and the warning: No Diving. 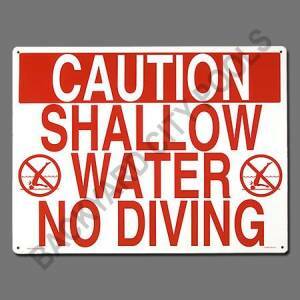 Shallow Water.